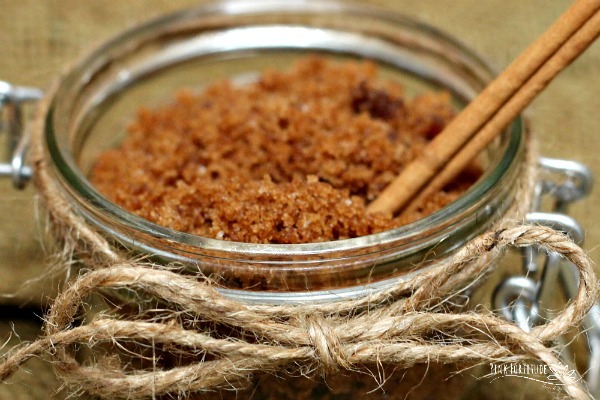 I don’t bake a lot with brown sugar to begin with, but especially coming off the summer, the brown sugar in my pantry isn’t very fresh. 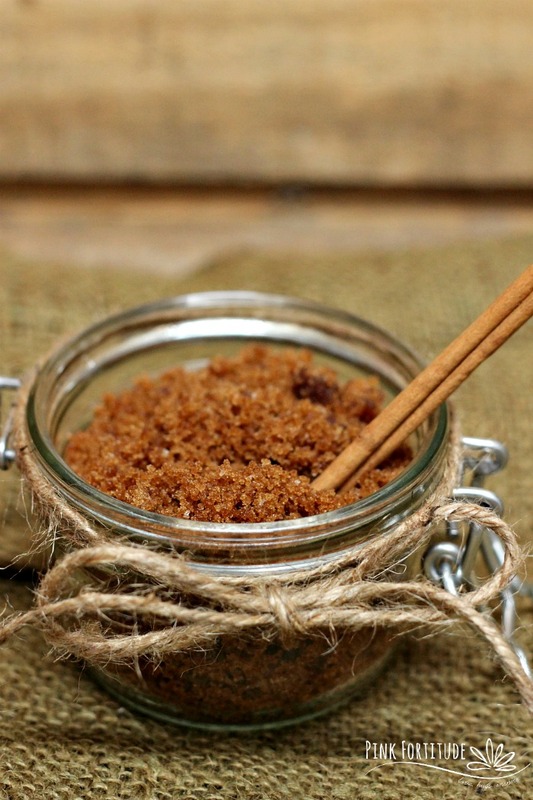 Rather than throwing it out and wasting it, making this sugar scrub is a perfect solution in frugality. Something this luxurious and scrumptious shouldn’t be this easy to make. You can make one for yourself and one to give as a present. Or two. Or three. I always try and purchase organic whenever I can. But no worries if not. The amount of the ingredients is going to depend on the size of the container. Fill the container with sugar – that is the amount of sugar to use (genius, I know right!). Adjust the other ingredients accordingly. For approximately one cup of sugar, use 1 TBSP coconut oil, and so on. In a microwave safe bowl, melt the coconut oil (15 seconds). Combine all of the ingredients together with a fork. If your brown sugar isn’t fresh and you have “pebbles,” just use your fingers to break them apart. The essential oils are optional. These specific spices are very strong, so you only need one drop each. Always be sure to use a glass container when working with essential oils. That’s it! Pour a hot bath and take yourself away to a stress-free place! 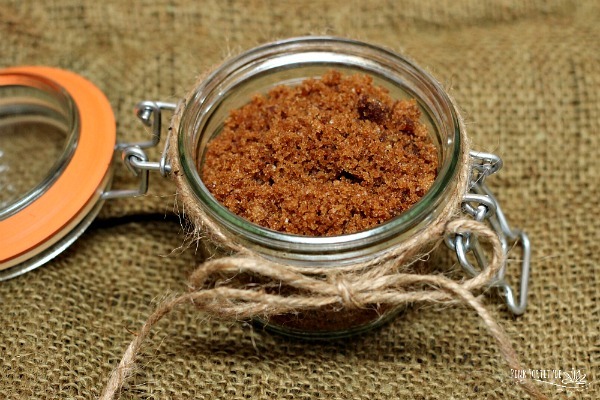 My favorite is Primal Palate’s Pumpkin Pie Spice mix, but you can use any blend of cinnamon, ginger, cloves, and nutmeg. The cells on your skin regularly shed and a sugar scrub will help to slough off dead cells and improve your skin’s appearance. It helps to increase circulation and stimulate the lymph nodes. 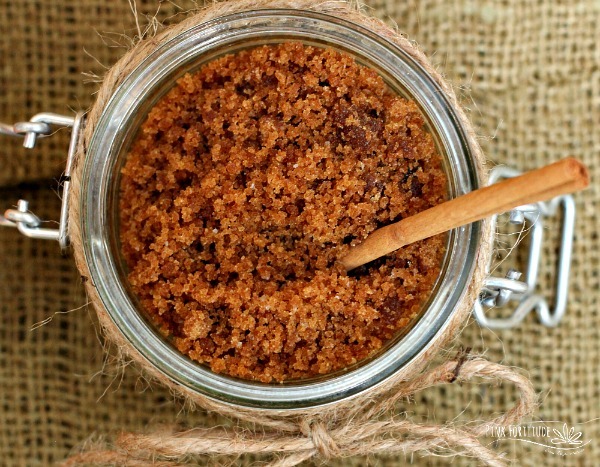 While this sugar scrub is an excellent way to exfoliate your feet, be careful using it while standing in the shower, as your feet will become slippery. 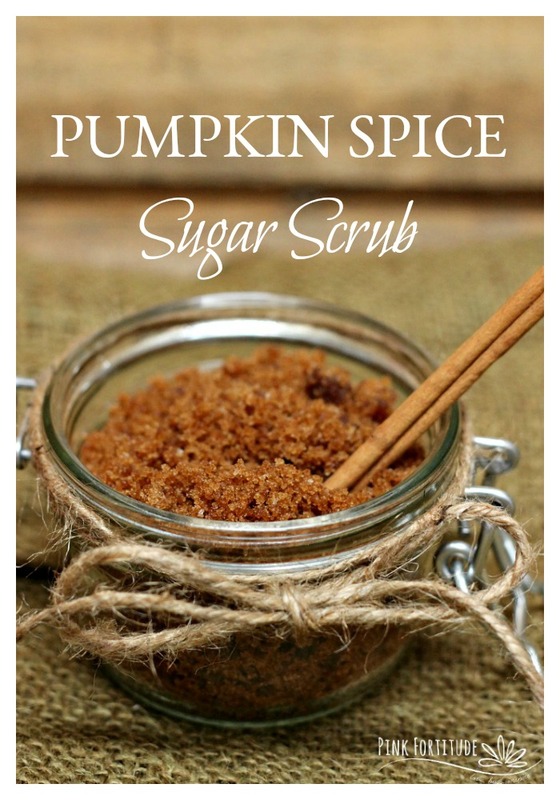 This would be a perfect treat in the tub after an afternoon hike or raking leaves! Love, hugs, and everything nice. This would also make a great gift. I just love anything Pumpkin; I can’t wait to try it. Looks and probably smells awesome Holly! Thanks for the recipe! Sharing on FB.Thank you for sharing on Merry Monday! Hope to see ya next week! Oh I LOVE all things Pumpkin Spice!! This is on my to do list!! Great gift idea also!! 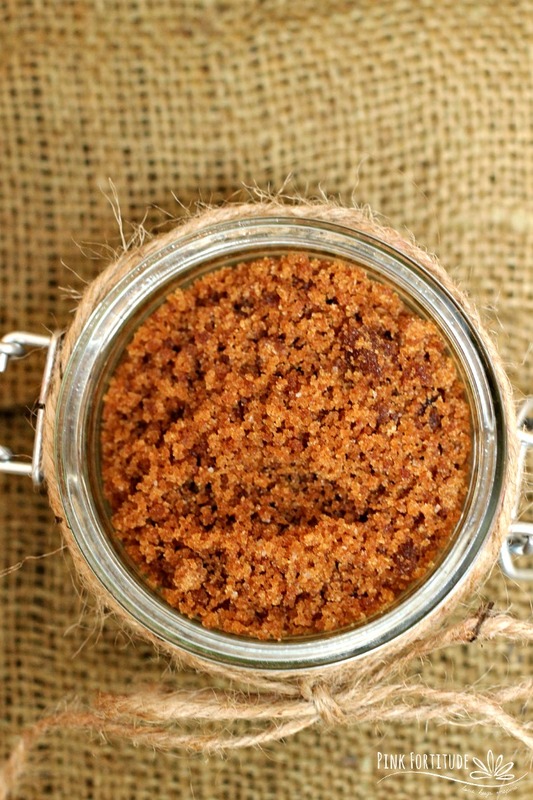 Thank you for sharing your scrub with us over at Waste Not Wednesday!